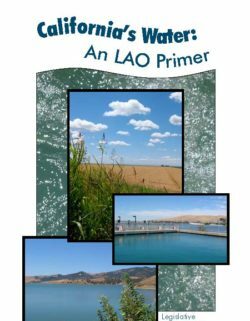 California water law is a complex subject. It is governed by both state and federal law, and is part property law and part environmental law. This topic has important historical roots, based in common law concepts of private rights to water, but is now dominated by federal legislation aimed at achieving environmental purposes. Adding to this complexity is the existence of a large number of federal, state and local agencies which play a role in the allocation and management of the state’s water resources. 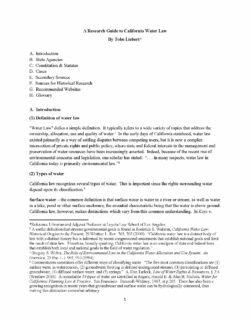 This research guide explains the basic concepts a researcher needs in order to begin understanding the current legal regime that controls the water of California. The guide covers a wide variety of resources, both print and online, some of which are freely available but others only through paid subscriptions. The greater emphasis is on California statutes, cases and regulations, but the secondary sources discussed will provide the necessary explanation of how federal law applies. San Francisco Bay enters most of our lives as an obstacle to pass over as quickly as traffic-choked bridges allow. Although this beats earlier attitudes—when we saw the Bay mainly as a dumping ground, a dam site, or a pit to fill in and pave over—we remain largely oblivious to one of the most remarkable wild resources in urban North America. Beneath our wheels lies a world of interesting and outlandish life, with much that puzzles even the scientists who regularly plumb its depths. California faces enormous challenges in establishing a sustainable path for water resource management. One challenge is the rhetoric surrounding major water issues in the state. 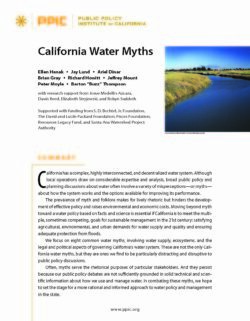 This study highlights eight common water myths, focusing on water supply, ecosystems, and legal and governance issues. In combating these myths, the report sets the stage for a more informed approach to water policy and management. California’s water delivery system is facing a series of challenges due in part to a combination of increasingly variable weather conditions, legal requirements, and system operation and conveyance constraints. These challenges affect water availability, reliability, and delivery. Recent public and private efforts have sought ways to address these challenges. These measures include proposals to increase water through groundwater storage, surface storage, infrastructure changes, and system operation improvements, among others. 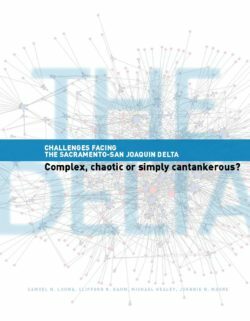 The Delta of the Sacramento and San Joaquin Rivers is California’s water supply crossroads. It is the major collection point for water that serves more than 25 million people, two-thirds of our State’s population. 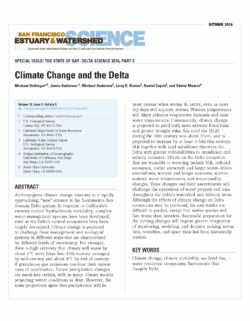 This Overview describes the waterways, highways, levees, historic flooding, water supply systems and political boundaries of the Delta to convey a basic understanding of the complexity of the Delta and its significance to the people of California. 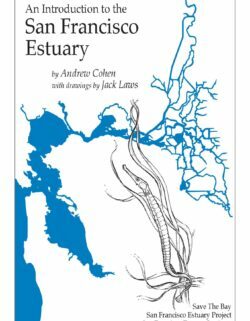 The Sacramento-San Joaquin River Delta of California once was a great tidal freshwater marsh blanketed by peat and peaty alluvium. Beginning in the late 1800s, levees were built along the stream channels, and the land thus protected from flooding was drained, cleared, and planted. 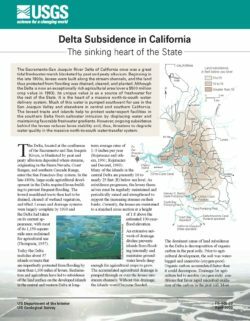 Although the Delta is now an exceptionally rich agricultural area (over a $500 million crop value in 1993), its unique value is as a source of freshwater for the rest of the State. It is the heart of a massive north-to-south water delivery system. Much of this water is pumped southward for use in the San Joaquin Valley and elsewhere in central and southern California. 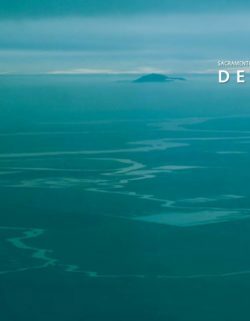 The leveed tracts and islands help to protect water-export facilities in the southern Delta from saltwater intrusion by displacing water and maintaining favorable freshwater gradients. However, ongoing subsidence behind the levees reduces levee stability and, thus, threatens to degrade water quality in the massive north-to-south water-transfer system. 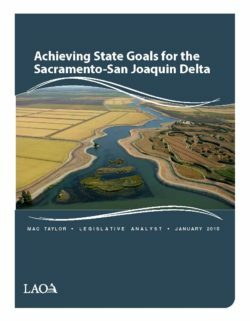 As the Sacramento San Joaquin Delta (Delta) evolved from an historic tidally-influenced marshland to a diverse agricultural region, local water governance structures also evolved to meet the water needs of the area. 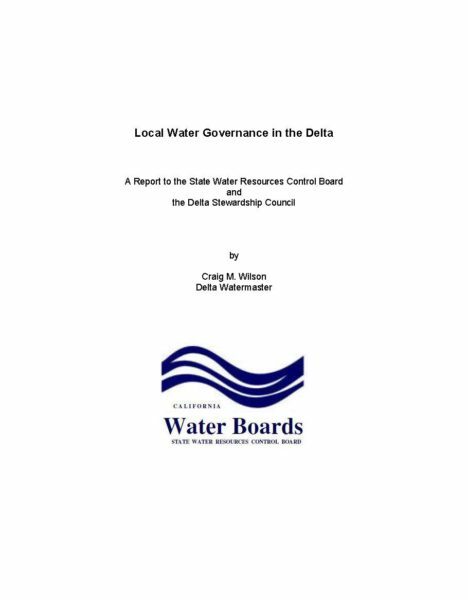 The purpose of this report is to outline the development of these local water governance structures.